Ontario peaches are ripe and ready for eating. 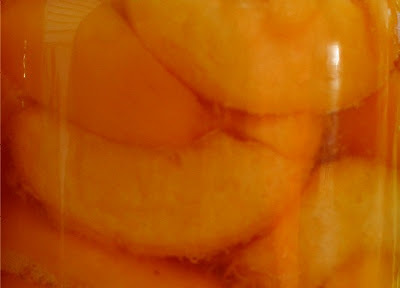 I have made 20 jars of jam so far and thought I would try my hand at canning peaches as well this year. It's a bit time consuming but I think it will be worth it in the dead of winter when we enjoy fresh-like peaches. I am sure they will taste way better than canned peaches from the store, and the great thing about making your own is you can control how much sugar goes into the canning syrup. I will report back in the winter on how they taste. Top Chef Masters: Vegan Challenge!